Hi everyone and welcome to Books Between – a podcast for educators, librarians, parents, and everyone who loves middle grade books! 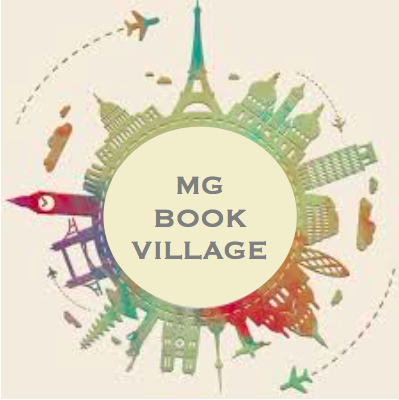 My goal is to help you connect kids between 8-12 with fantastic books and share inspiring conversations with the authors and educators who make that magic happen. I’m your host, Corrina Allen – a mom of two girls, a 5th grade teacher, and I just discovered the COOLEST thing last week and I have to share it with you! There is this teacher named David Marsh and he makes stop motion LEGO Batman Book Talks. They are SO awesome! There’s one for Enginerds and one for Serafina and the Black Cloak – and, my favorite – the one for The Frame-up! I’ll drop a link to his YouTube Channel in the show notes. Do you yourself a favor and go watch them. This is Episode #56 and today is all about Kelly Yang and her fabulous new novel, Front Desk. Before we begin, I have two quick announcements! First is the Middle Grade at Heart Book Club update. This month’s pick is Where the Watermelons Grow, and I am so close to finishing that book – it’s so good and I can’t want to have Cindy Baldwin on the show to chat with me about it. In September we are reading The House That Lou Built and in October is Three Rules of Everyday Magic. So grab those books and let me know if you have questions you think I should ask the authors when they come on the show. And second quick reminder that Monday nights are the #MGBookChat Twitter chats with some really juicy topics coming up like building book access in book deserts, creating a classroom community through books, and ending gendered labels of books. It can be very easy to get into the hustle and bustle of your day and forget – so set a reminder on your phone for Mondays at 9pm EST and check out #MGBookChat on Twitter. Our special guest today is Kelly Yang. And as you will hear – she is one incredible and humble person. And since she’s not going to talk herself up, I am. Kelly Yang is one of the youngest graduates of Harvard Law School – earning her degree at 17. She’s a columnist for the South China Morning Post and her features have been published in The New York Times and the Washington Post. She’s a commentator, a debater, and founder of The Kelly Yang Project – an award-winning writing and debate program for kids in Hong Kong. And that’s really just scratching the surface of this WOW Woman! I was really honored that Kelly took the time out her family vacation to sit down with me and chat about so many things – how to reach English-language learners, racial profiling, the Simpsons, her writing journey, and her childhood helping her parents run motels which was the inspiration behind her debut middle grade novel, Front Desk. Your debut middle grade novel, Front Desk, has been getting all kinds of love!! For our listeners who have not yet read the novel, can you tell us a bit about it? Aside from running the front desk of the motel, Mia is often translating for her family. Was this something you also had to do? If so – how did that impact you? I adored Mia, but I really really came to love her parents! But… her mother could be carelessly cruel. Her pressure to be good at Math. And then when she tell Mia that the other kids are cars but that Mia is a bicycle – oh my GOD! I started to wonder if maybe Mrs. Tang was just really scared for her daughter? One of the most powerful scenes is when a car was stolen from the motel and in the course of that investigation, Mr. Yao discovers that the Tangs have been renting to black people. And he says, “I thought I told you not to rent to bad people.” That thread of discrimination and racial profiling (even by other marginalized people) was woven throughout the story at various points. Can you speak a little bit about your thought process behind those sections? I love following you on Twitter and I loved your thread about the Simpsons and Apu controversy. Could you talk a little bit about your response to that and your relationship to that character? **BONUS SPOILER SECTION: Kelly and I discuss the ending of the novel, and if you’d like to hear that conversation, I moved that part of the recording to after the end credits of today’s episode at the : mark. What was your journey from Harvard Law graduate to author?